ReeFloTM is an American based manufacturer of saltwater pumps. 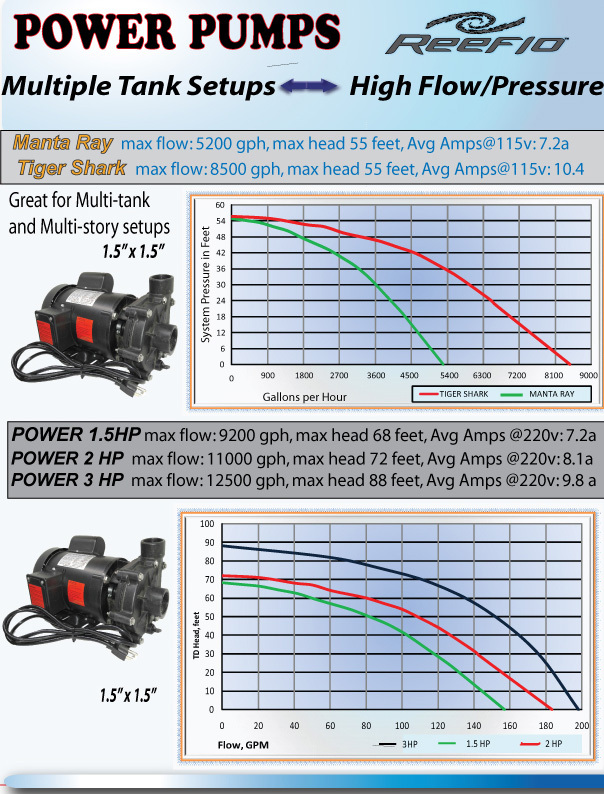 The difference in our pumps is our use of low speed motors. These motors draw low watts, have a longer life and near silent operation. Unlike nearly all other aquarium pumps, our motors are rebuildable. We offer a rebuild service at our U.S. factory. If you deal with our customer service team you are dealing with one of three owners of Reeflo. 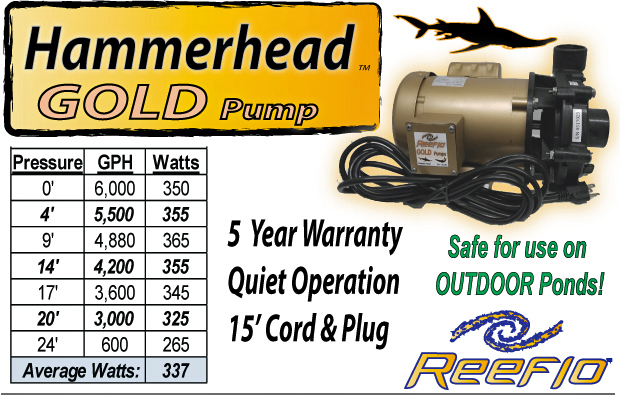 2) Our Gold models which feature a high efficiency Motor and a 5 year replacement warranty.